« Adding to the Vienna Museum: Foreground or Background Building? 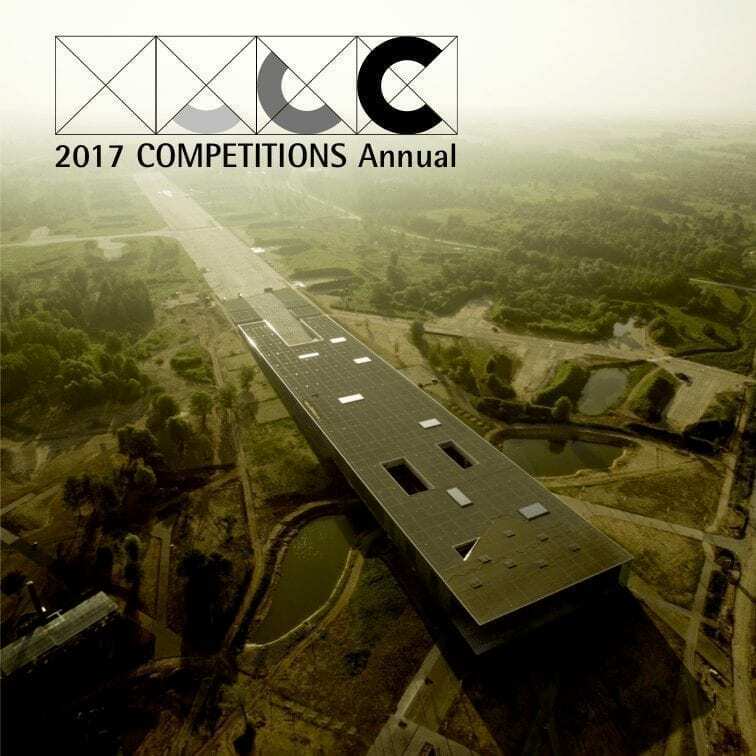 When reaching a final decision on the winner of a design competition in Sydney, Australia, clients and jurors alike will invariably hark back to the controversy surrounding the Sydney Opera House competition. 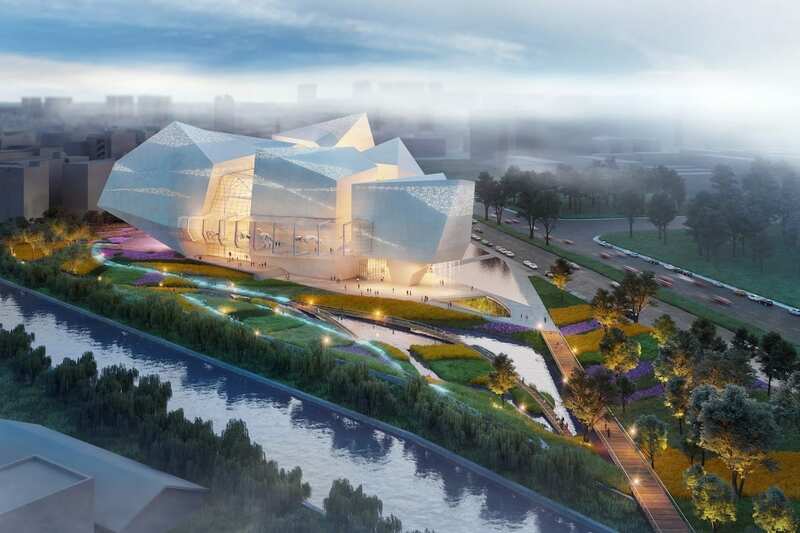 Because of the large cost overruns associated with that project, it has cast a long shadow over local projects decided by the design competition process. With this in mind, organizers of the more recent Green Square Library competition went to great lengths to address buildability and budget issues associated with the various designs. Their precautionary measures seemed to validate the selection of Stewart Hollenstein as the winner. As unconventional as that entry might have appeared to some, it not only got the green light from a bevy of cost consultants who were brought on board; the feedback from the community turned out to be very positive. • Green Square is an $8 billion development project near Sydney’s international gateways of Port Botany and Sydney Airport. At the heart of Green Square is 14 hectares of land to be developed as the Green Square Town Centre. 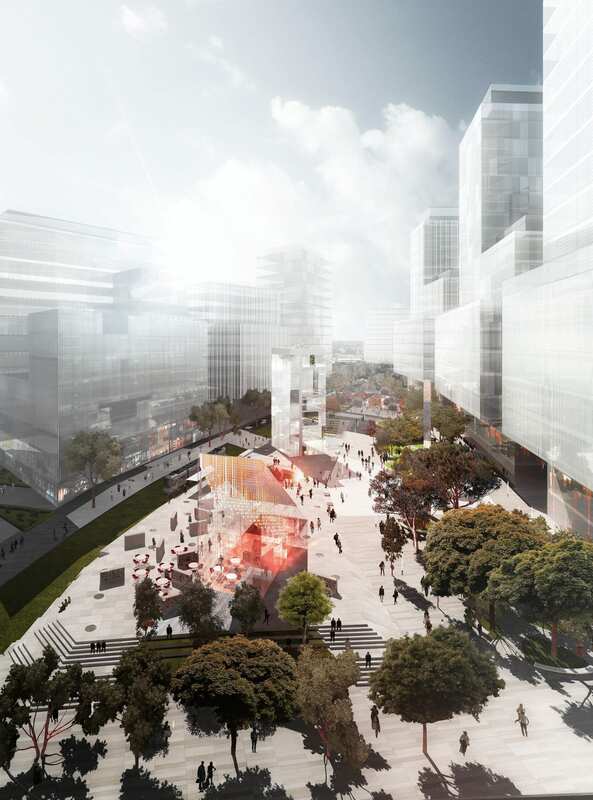 The Town Centre is planned to include the Green Square Plaza and Library at its heart. 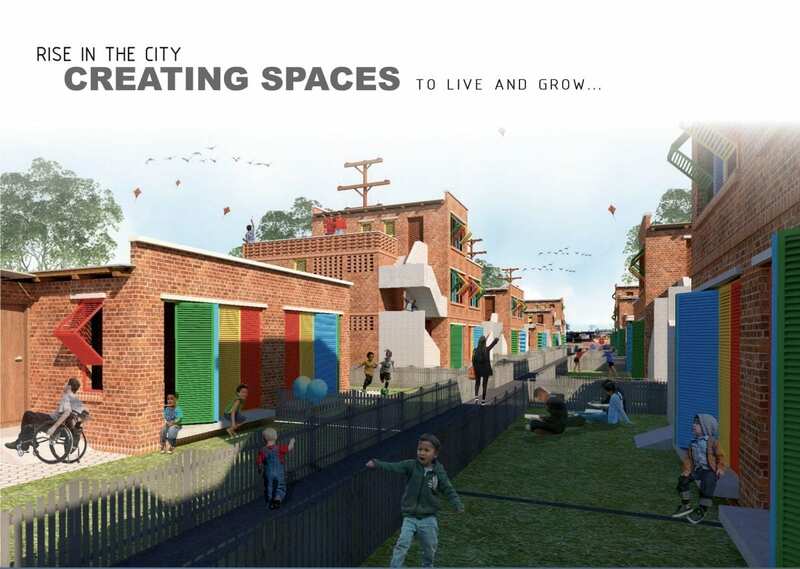 • The Green Square Library is an important project that will be the catalyst for residential and commercial development in the precinct and will establish the character of the future Town Centre. • The Green Square Library and Plaza is to be located opposite the Green Square train station and future bus interchange. The future plaza is 7,800m2 in area, framed by Botany Road to the west, future streets and projected mixed-use developments to the north, south and a future main street – Zetland Avenue – to the east. The library is to be located within the plaza boundary. The City of Sydney engaged Stephen Varady of DANNFINCH as “Registrar and Competition Adviser to assist Council in the preparation and organization of the competition. The finalists were invited to Sydney on 17 October 2012 for a site visit and briefing session. As part of a compensation package for Stage 2, all of the finalists were to awarded AU$50,000 to produce their submissions. After meeting with finalists separately, each was provided with a Stage 2 Brief addendum containing important general recommendations for all finalists along with specific feedback for each scheme. The addendum also included more detailed information about the Stage 2 Entry Requirements. Finalists were asked to lodge their 50% designs on 13 November 2012. These were assessed by quantity surveyor Gerry Heaton of WT Partnership who prepared a 50% Cost Assessment of each scheme. This assessment, along with a 45-minute teleconference feedback session with the QS and Registrar, was sent to each finalist to assist them in completing their design within budget. Without being able to review the first-stage designs, we have to take the word of the jurors that only two of the finalists improved their schemes during stage two. Also, some of the teams added at the second stage, i.e., Snøhetta as a prime example, probably were brought in mainly to deal with landscape design. In any case, Stewart Hollenstein’s strategy—placing much of the library under the plaza, thereby freeing up much of the space for other community programs—was the idea that won the day. Before construction on Green Square begins, considerable removal of existing structures and the resolution of circulation patterns will have to be resolved. After that, the City anticipates major development around Green Square to take place, primarily mixed-use in nature, framing the new Library. The Stewart Hollenstein scheme was by far the most interesting and stimulating Stage 1 design, and was unanimously agreed that it was simply the most appropriate proposal for this site. The Jury was most excited by this scheme and convinced by the potential it held for the new Library and the Plaza at Green Square. It was the only scheme to challenge the notion of placing a building in the Plaza, managing to put forward a strong argument for placing the Plaza over the Library, thereby providing both a building and a suitably scaled urban plaza for the future developments around the site, becoming a beacon and an oasis for the whole Green Square community. The Jury responded positively to how this scheme would maximize the opportunity for sunlight into the entire Plaza area. The Jury was impressed with the thoughtful, professional and succinct verbal presentation that addressed almost every point the Jury was interested in investigating. The Jury was also very impressed with the level of resolution of the Stage 2 scheme and the presentation of the A0 panels. The single level library creates an efficiency of planning, punctuated by ‘pop-up’ and ‘cut-out’ elements that express themselves at Plaza level. 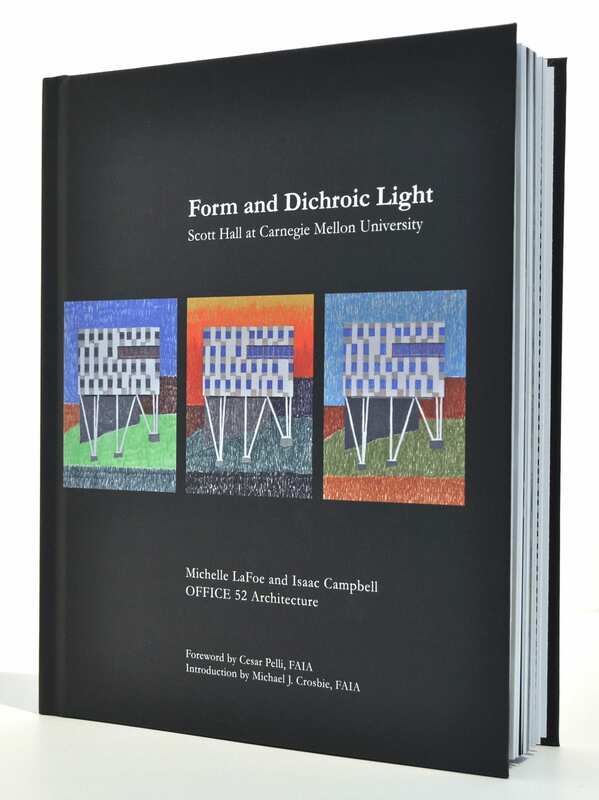 The single level, generally open-plan library and the ‘field approach’ for the Plaza with scattered elements across the site was found to be a robust strategy that would be able to accommodate rigorous design development without significant change to the substance of the idea. This was particularly relevant to the tower element that may need some re-programming. Council may also like to re-think the role of the library staff or add a ‘programs’ manager to curate the use of the public plaza. The Jury also suggested a subtle switch of emphasis of the public plaza from plaza with park, to park with plaza. The Jury was very excited by the possibilities contained within this design and believe that this team contains a good balance of confidence and wide-eyed enthusiasm and determination to be able to successfully realize this project and fulfill the promise that their scheme holds. The Jury found the John Wardle design to be an attractive scheme with good planning and a great variety of spaces, with good interaction between the spaces and the outside. The detailed resolution of planning, construction and materiality greatly impressed the Jury. The Jury was impressed with the professional and skilful verbal presentation from a team that appeared to be polished, coherent and working well together. The Jury also commended the team for addressing all of the Jury’s Stage 1 concerns so successfully and for the presentation of its A0 panels. The Jury fully appreciated the poetic and experiential qualities of the design however they also found that this scheme highlighted some of their concerns about the Library and Plaza site’s ability to successfully accommodate an appropriately scaled Plaza and a substantial Library building, especially considering the scale of the developments on the adjoining sites. The Jury enjoyed and appreciated some of the landscape treatment, especially the community table; however they also had some reservations about the ‘suburban’ character of the landscape design and felt that the enclosed nature of the landscaping seemed to restrict cross-flow and more active connections and interactions with the surrounding developments. The resolution and final presentation of this scheme described a very fine building, but the Jury felt in the end that it wasn’t the right building for this site. The JPE Design Stage 1 scheme suggested a seductive proposition of a sculptural building in an urban wetland setting, however the Jury found that the Stage 2 design appeared to have moved away from those earlier ideas and the sensitivity of the planning and the form had been lost. While the Jury had been intrigued by the urban wetland idea, its scale and the limitations it placed on the site also concerned them. On viewing the Stage 2 scheme the Jury found the revised design had not sufficiently addressed their concerns, with access and north-south site connectivity issues not resolved. The Jury was also concerned by the overshadowing issues of the amphitheatre and its isolation from other parts of the site. The Jury was concerned with the relocation of the light-rail terminus and expressed concerns for the building’s design should this not be possible. The building also appeared to turn its back to the northern side. 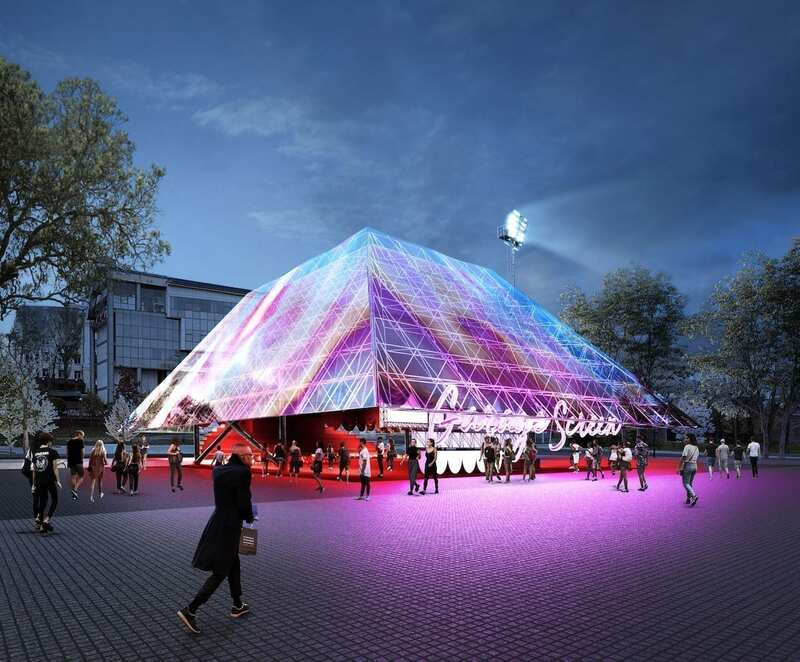 While the Jury appreciated the translucent nature of the facades, they expressed concerns about the maintenance, servicing and longevity of the polycarbonate material that had been proposed, and were still concerned about the complexity, cost and heat loads associated with the glazed roof. The Jury was impressed with the potential of the ideas in this scheme, but in the end were not convinced by the final resolution of those ideas and eliminated it from further consideration. The Felix Laboratories scheme held the potential for a strong relationship between building and landscape, and between the material and the ephemeral ideas contained in the original Stage 1 design. However the development of the scheme appeared to move away from the qualities the Jury found to be positive and the final resolution has not fulfilled its initial promise. 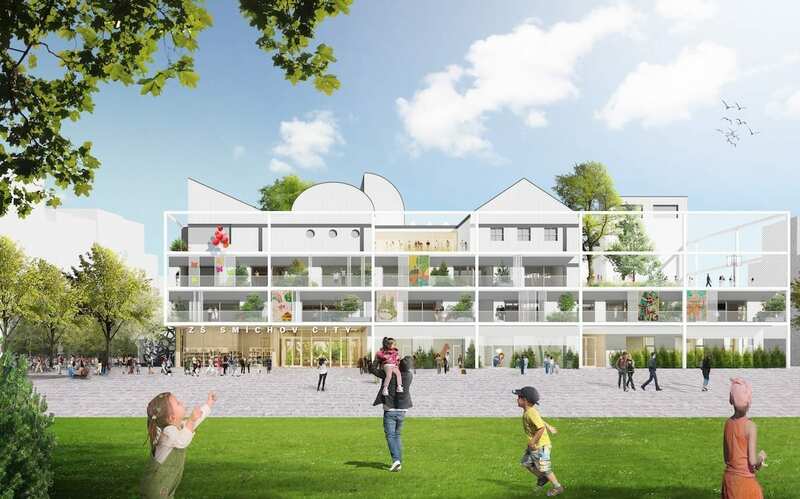 The Jury found the development of the 4 facades of the scheme to be less than successful, resulting in a lack of cohesion for the overall building. The final materiality of those facades also evoked a more heavy and oppressive feeling than the original scheme had implied. The Jury saw positive attributes in the landscaping of Stage 1 of this scheme that were not further developed in Stage 2. The Jury also expressed concerns about the mounds and the insitu concrete paving and felt that the landscaping of the roof had digressed to an unsuccessful outcome. The positive qualities of the overall planning of the scheme appeared to be lost after design development, and the void had completely lost its potency. The scheme suffered from an inability to resolve the design ideas with the realities of construction and budget, resulting in problems with planning, landscaping and materiality which eliminated this scheme from the process of consideration. The Flannery de la Pole Stage 1 scheme was a very realizable proposal with a great deal of potential. It was well planned with a well-located entry, good circulation and good transparency from inside to outside. While the Jury acknowledged that the Stage 2 scheme had addressed the issues raised in the Stage 1 Jury Report, they felt the changes had diluted the quality of the design, leaving problems with planning, circulation and acoustics. The open expanses of glass to the east and west were still a significant problem, while the Jury found the lack of glazing to the north a little troubling. More planting had been introduced into the design and the Jury saw merit in some of the detailed elements of the landscape proposal but they questioned the large expanse of paved surface. The Jury responded positively to the integration of art work but were not completely convinced by its capacity to provide adequate shade, and also questioned the easy potential for vandalism. It appeared that in the effort to address budget concerns the design development removed some of the qualities that attracted the Jury in Stage 1. The Stage 2 development of this proposal did not meet the Jury’s expectations and therefore removed it from further consideration.